Why did I want to see it? It had Guillermo del Toro’s name all over it, though as producer rather than director, and it looked wonderful. 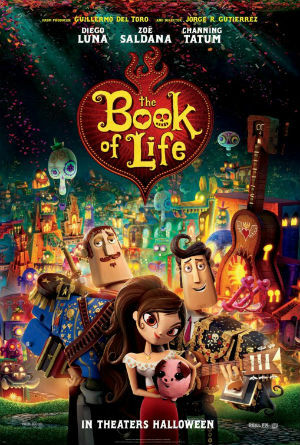 The Book of Life is undoubtedly one of the most gorgeous films that I have ever seen but I have to admit I was disappointed in the story of the film and *whispers* was actually a little bit bored at one point. 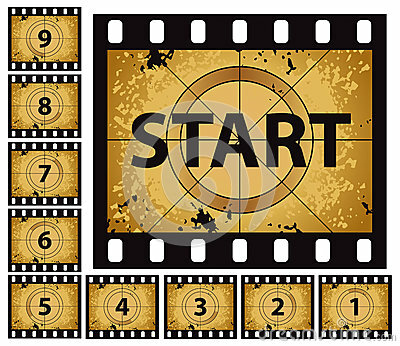 The love triangle and set up took longer than it should have and the film only really kicked off when Manolo actually starts his quest. It felt longer than the 90 minutes or so of its official running time and that is such a shame because it looks astonishing, the character design and voice acting were excellent and the framing device (school trip to museum where the story of Manolo was told by the guide) worked quite well. Maybe I just don’t do the romance thing unless there’s lots of other stuff to go along with it. The smallies in the audience seemed to enjoy it though (except for one little boy who felt the need to announce loudly that he was very very hungry) but it was a miss for me; perhaps I’m just not the target age. Or I’m an old curmudgeon, I’ll leave that for you to decide. And wow, Radiohead’s Creep seems a really weird (and perhaps inappropriate choice) for the soundtrack to a kid’s movie even if presented as a traditional love song by a handsome matador with Spanish guitar. Very odd. So in short I’d probably watch it if I came across it on TV but I don’t think I would actively seek it out again.